Since we happen to have all three colors of the HTC One (M8) in house at the moment, we thought, “Why not do a beauty shot video?” After all, this phone is – at least in our opinion – one of the most beautifully designed in recent memory. The all-metal unibody construction that is highlighted by clean accent lines, looks like smartphone luxury. Sure, it might be way too tall, but there is no arguing against the premium feel of it in hand. 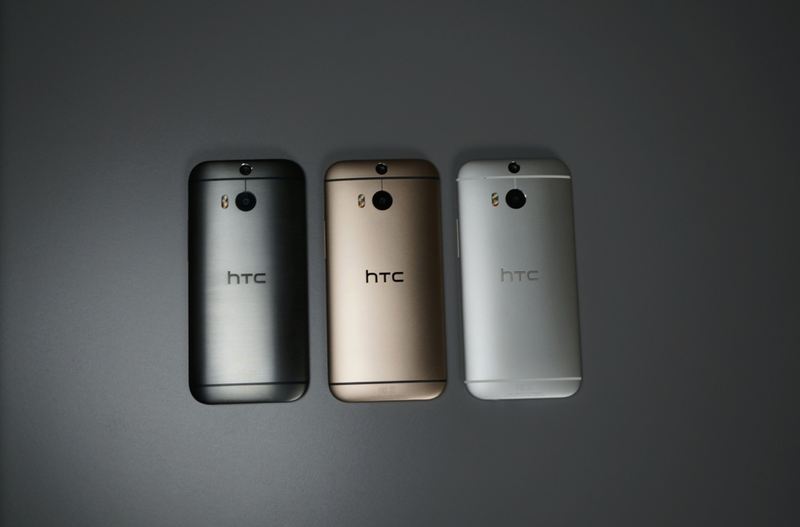 Below, we take you on a tour of each color: Amber Gold, Gunmetal Grey, and Glacial Silver. The Amber Gold is the most difficult to get a hold of at the moment, since it is only being sold exclusively through Best Buy and then online through HTC’s store. Gunmetal can be purchased just about anywhere. And Silver is found at a variety of carriers, but is also the only choice if you pick up the Google Play Edition (our unboxing). Again, this isn’t a software or feature tour, it’s just a video to show you each color. Because well, why not?